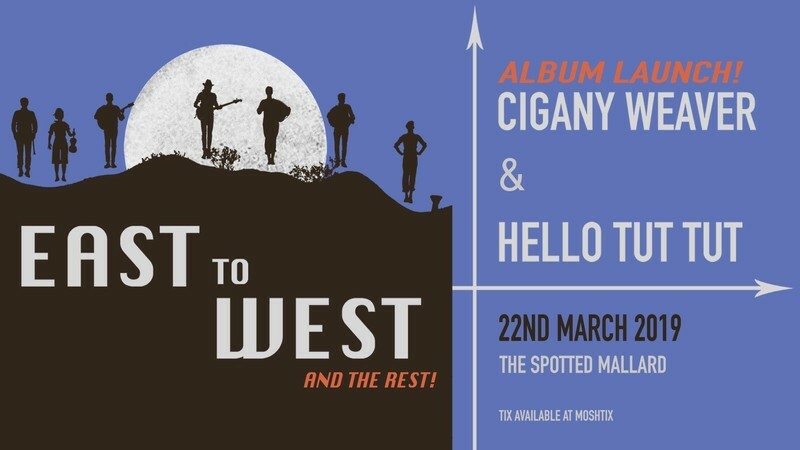 Dubbed "Festival Favourites" at the recent Tablelands Folk Festival and selling out the Bearded Lady in Brisbane, Gypsy-Swing outfit Cigany Weaver and World Music Dance band Hello Tut Tut come together again, this time down south for a night of wild strings and tunes for all the dancings. Cigány Weaver is one of Australia's most exciting gypsy-jazz ensembles. Their sound is reminiscent of jazz Manouche, traditional swing and Romani music, interwoven with contemporary material from artists like Bjork, and the band’s reinterpretations of classics from popular culture. Hello Tut Tut takes its audience on a high energy, stimulating musical safari shaped by the aesthetics of cultures from around the world. Exploring their heritage through a unique blend of gypsy, klezmer, balkan and latin sounds, they will entertain with a finesse, charm and intensity that will get you up and dancing!